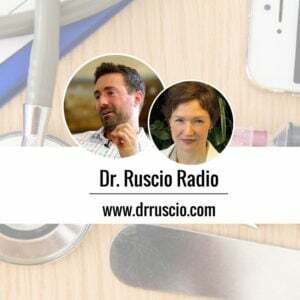 Today we talk with Dr. Allison Siebecker on all things SIBO. We discuss biofilms, small intestinal fungal overgrowth, worms and more. If you would like help understanding all things SIBO, click here. Dr. Michael Ruscio: Hey, everyone. Welcome to Dr. Ruscio Radio. This is Dr. Ruscio. I am here with one of my best gut geek friends, Dr. Allison Siebecker. Hey, Allison. Thanks for coming back on. Dr. Allison Siebecker: Hi, Michael. DrMR: So we have been trying to record a post-SIBO-Symposium podcast. But we’re now, gosh, 3 months after the SIBO Symposium. So I think that ship has sailed. But we wanted to get together to just talk about stuff we’re doing in the clinic, stuff we’re seeing, pick-each-other’s-brains kind of thing. And I figured — and from the feedback that we’ve gotten from some of the people who follow the podcast, they really enjoy these kind of informal discussions that we have on SIBO, not necessarily something that’s going to go into the latest research but just more practical — what we’re seeing, what we’re doing, what’s working, what’s not working. So I figured we would kind of jump into today with not much of a map, although I did promise you I’d lead the conversation. DrMR: So I’ll try to guide us through a somewhat logical narrative on some SIBO stuff. But I guess to kick us off, one of the things that I could just speak briefly to — and we’ll probably do a follow-up podcast that expands on this — is some of what I presented on at the SIBO Symposium this year. The one thing that I was most, I guess, surprised to see was some of the data that came out of our clinic, actually. And we’ve been tracking a number of things. One of the things that we’ve been tracking is the effect of anti-biofilm agents in the treatment of SIBO. And essentially what we did is known as a retrospective chart review, where you treat a bunch of patients, and you go afterward, and you analyze the data. And it’s a very, I think, cost-effective way to parse out conclusions from clinical data that doesn’t require the more robust and expensive clinical design as a prospective randomized controlled trial. In any case, we gave half our patients just, kind of, standard herbal antimicrobial therapy. And the other half received the same herbal antimicrobial therapy plus an anti-biofilm agent. And, on purpose, I didn’t standardize to one anti-biofilm agent, although it’s probably a little bit less beneficial for the strength of our data. But I wanted to see, if I just did this as I would do in day-to-day clinical practice and steered the biofilms recommendation to fit the patient needs, would we see an overall effect from the addition of anti-biofilm agents or not? And we did show a significant reduction in hydrogen and combination gas with the co-administration of anti-biofilm agents to standard SIBO antimicrobials. And that was very interesting to see. And we did not show a significant reduction in methane. But we did see it in hydrogen. The agents that we used were typically InterFase Plus or N-acetylcysteine, sometimes a combination of the two. Or in some cases, we used Samento. And it was kind of based upon what the person had going on. If they also had H. pylori with SIBO, we’d use N-acetylcysteine. If I suspected that they may have some other type of systemic or intercellular bacterial infection like Lyme or one of the Lyme co-infections, I may have used Samento. And if it was just straight SIBO, it was usually InterFase Plus that was used. But we did show that, for the first time, as I understand, in what we’re now drawing up for publication, that the addition of anti-biofilm agents to antimicrobials causes a significant reduction in hydrogen gas. thing that I had to say this year at the SIBO Symposium. And, Allison, I think that runs counter to what both of us had thought. I did not get the intuition that the addition of biofilm agents would have made a big difference. And I have some thoughts in terms of how our findings might impact standard SIBO care. But, Allison, any thoughts on the biofilm piece in general? DrAS: Yeah, you and I talked about this because in all the years I’ve treated SIBO, about 6 years now, a lot of patients — I’ve seen thousands of patients — what has been strange to me in hearing your results is that I was never able to perceive a benefit of anti-biofilm versus not. And this is over about 6 years of treating SIBO. DrMR: Yeah, I remember you saying that. DrAS: And that’s what I asked. And then you’re like, “Don’t feel bad. I couldn’t tell a difference either.” So I want to ask you a question about that. But first let me explain. What I mean is I’ve never noticed a difference in test results. So I’ve never been able to perceive, “Oh, I gave that person anti-biofilm. And look, their gas came down 10 parts per million more or 20 parts per million more.” I feel like if it did, it was a small enough amount that it didn’t make enough of an impression on me. And then the second thing, which is actually, to me, more important, is that in the whole clinical picture of cases, I certainly cannot perceive a difference, a benefit, that someone who gets anti-biofilm, that their treatment course is shorter, they do better overall, they have fewer relapses. I have never noticed anything like that. So that’s what really stands out to me. I can’t perceive a true clinical benefit. But then you statistically found something. So when I said this to you, you said, “Well, there’s a difference between clinical results and statistical results,” or something like that. DrAS: So I thought maybe you could explain that to all of us. DrMR: Absolutely. And I think this is a really important thing to take into consideration. This is something I really learned in writing the book and in looking at a lot of the data on the different treatments of the microbiota and how they affect different endpoints like blood sugar or weight or what-have-you. You will see things that are considered numerically significant, meaning it’s not just chance, because to say something is statistically significant means it’s not just chance. It’s not just a numeric chance that that happened. Mathematically, that was proven to be because of the treatment or whatever the intervention was. But just because it was, I guess you could say, mathematically significant doesn’t mean it’s impactful enough to mean anything in the real world. And so we see this with things like probiotics and weight loss. They have been shown to cause a significant impact on weight and cause a significant impact in terms of weight loss or fat loss. But it’s anywhere from half a pound to 2.3 pounds. So is that enough to really be clinically meaningful? I don’t think so. And this happens a lot in this space where just because something showed a positive effect we get swept into thinking that this needs to update our clinical recommendations, or it’s something that will be clinically meaningful. And that’s definitely not always the case. And this may be, to criticize our own findings, this may be the case with the addition of anti-biofilm agents. They may be enough to be statistically effective or beneficial or significant. But it may not make a huge difference in terms of the patient you see in front of you. Is it going to make a noticeable impact on their gas levels or their symptoms? And the thing that we’re adding to this continued or second part of this study as we’re continuing it forward is that we’re tracking key symptoms like gas, bloating, abdominal pain, diarrhea, constipation. And I’m ultimately going to be more concerned or interested in what the clinical or the symptomatic picture looks like than I am necessarily the gas values. But, all this being said, these are preliminary results. I think our numbers were 12 treatments and 9 controls. So, certainly, these are very early findings. And they may, with more people analyzed, still remain to be significant statistically. But they may not be super meaningful clinically. And so my recommendation at the SIBO Symposium was not to make the addition of anti-biofilm agents to our standard antimicrobial protocols, but to consider them for someone who’s only had a partial or marginal response to antimicrobials. DrAS: Very good explanation. Thank you. DrMR: Well, I definitely don’t want to be the person to confuse things even more. I’m hoping that with our research we’ll get better with our SIBO treatments. And right now, I don’t know that we need to start adding another item or two to our standard treatment. So we’ll see. But I’ll definitely be curious to see what our follow-up analysis shows. And we’ll stay in communication on this, I’m sure, because I want to see what the future holds for the biofilm agents because if they are effective, then that’s definitely something that I’ll do more of. DrAS: We’re going to want to know. DrMR: Yeah. So the other thing that I found interesting in some of my prep research for the Symposium presentation was the other section I did, which was on Atrantil and how we’re tracking patients being treated or not treated with Atrantil. It’s a new compound that is supposed to be good for methanogens. One of the things that I came across in my research is that methanogens do also, in fact, form biofilms, which I don’t think the SIBO community was aware of. I wasn’t aware of this until I looked into it. But methanogens, both in humans and in aquatic life, have been shown to produce biofilms. So maybe that is part of the picture in helping with the harder-to-treat methane gas SIBO. But at least with the biofilm agents that we used and the small sample that we’ve done so far, we didn’t show any reduction in the methane gas. So I don’t know. DrAS: Right. Once again, that’s a little curious. DrAS: I know you and I talked before. Very smart doctor, Dr. Paul Anderson. He’s wondering if maybe the standard anti-biofilm agents that we’ve been using — maybe they’re not effective enough for this situation or for tougher cases. And so he has created a formula that’s supposed to be a bit better, a bit stronger for anti-biofilm. And he says it’s okay to share it. It’s okay that I talk about it. He calls it Biosolve-PA. And so I’m trying that. I’m experimenting with that to see if it can make a difference in, particularly, very chronic, relapsing cases. And I still don’t have results on that yet. But I’ll certainly let you know when I figure it out. DrMR: I’m curious to hear what your thoughts are because if you are starting to get the sense that you like it, I’m going to see if I can have that compounded locally. I have a friend who just bought a pharmacy. And I think we’ll have the capability, through my friend’s pharmacy here locally, to compound it because it’s a liquid, correct? DrAS: Actually, it’s a pill. DrMR: Is it a liquid inside the pill? Or is it a powder inside the pill? DrMR: Oh, okay. So when I shot my pharmacist friend the information, he thought it was going to be somewhat challenging to compound because it was a liquid gel. But I’ll have to bring that back to him and hash that out because if it’s a powder, that makes it quite a bit easier, from what my compounding friend has told me. So let me know if you start to notice a trend. And then I will follow suit. DrAS: I can tell you what I’ve noticed so far is the one thing that I do with anti-biofilms is that I use those agents in any patient who has yeast. And I just do that based on the training I received. The basic training that I received on biofilms is that they can be responsible for chronic, relapsing conditions, which is why people would think of them for SIBO. DrAS: But we already have a reason for the relapsing situation in SIBO, which is that we don’t know how to fix the underlying cause in most of the cases. But putting that aside, so my training is that the yeast — so many of the reasons why people have such chronic, relapsing problems with getting rid of their yeast could be from biofilms. And so you just include an anti-biofilm agent no matter what when you’re treating yeast. Now, I don’t know. I’m not a yeast expert. So I don’t know if that bears out clinically, the way that I talked about how I can’t see something. I just do it because that’s what I was taught. So anyway, I have begun using the Biosolve-PA with some of my tougher yeast cases. I see a lot of SIBO and yeast together. I think those people come my way because it’s a tougher SIBO case. So then they wind up at my door. And I have noticed, certainly, some significant effect from Biosolve-PA in yeast patients. It’s really upping their die-off type of thing. We can tell it’s having a treatment effect. But I’m still not at the end of that to say, “Oh, now they’re done. It worked to make them not relapse.” So I’ll just let you know as I keep going. DrMR: Now, with the yeast, are you tracking this via blood antibodies, via stool culture, via something else? DrAS: So it can be any of those. I used to try and test at least two. I would do either urine organic acid for yeast metabolite, stool, or the blood antibodies. And I try and do maybe two of them. And I could see the before-and-afters when I was treating. But now, I leave it up to — because I do telemedicine. I do distance consultations. So I’m not the ordering doctor on tests. So I leave it up to that patient’s doctor. And so sometimes, I don’t have any tests, or not any recent ones. But we’ve got extreme history. And sometimes, I have one. So it just depends. But mostly what I use with the people that I’m speaking with is symptoms. And this is really interesting. I wanted to speak to this for a moment. You and I were just mentioning before we started our interview, Dr. Rao. He’s written some studies on how SIBO and SIFO (small intestine fungal overgrowth) can be found together. And he found about a third of patients will have both. A third of SIBO patients will have both. And then sometimes, a person just has SIBO. And sometimes, a person just has SIFO. And one of the things that’s the most fascinating to me about what he found was that the symptoms are the same. And you cannot tell the symptoms apart just by listening to somebody. You’d need a culture. He did a culture on these folks. He went in with an endoscope and cultured out what was there and found whether they had yeast or bacteria or both. And I have seen this borne out in a lot of my patients. So for example, we have a patient who we treated for SIBO. She’s always had a problem with yeast. And she’s known that — lots of thrush, lots of vaginal yeast, under treatment for yeast many times in her life. And so we suspected she might have both. And so we got her SIBO gone, but she still had some symptoms. And this is a key, important thing when you’re treating anything, really. But I’ll just say if you’re treating SIBO, and if you get that SIBO test negative and there are still symptoms, you need to consider something else is causing it. And in her case, we felt it was yeast. And so she went on Diflucan. And her remaining stomach pain, which was actually her chief complaint, went away. So she knows for sure her stomach pain is a symptom of yeast and not SIBO. Very, very fascinating to me. DrMR: And I think you make an excellent point. And it’s something that we’ve spoken about on the podcast and some of the videos that we’ve recorded, which is that we don’t want to be limited by the lab tests. And sometimes, we have to think beyond the lab tests. And so it comes to exactly what you said. You’ll see some cases where you will normalize a SIBO breath test, but the person will still be symptomatic. And so what we don’t want to do there is say, “Well, you’re done.” We want to keep thinking about ways that we can nudge the microbiota, so to speak, or just treat the gut in order to get the response that we’re looking for. And I think SIFO might be one of the main culprits — and from what has been published — maybe 30% of the cases where the SIBO test now normalizes but the person still has symptoms. DrAS: I totally agree. It’s my number two thing to think about. Of course, you have to question the person. You have to see if it seems to make sense. But even if somebody has never heard of yeast and they’ve never really thought about it, we’ll sometimes just try some empirical antifungals. And so often, they will respond. It’s remarkable how often yeast is the culprit when there’s something else going on besides SIBO. DrMR: Agreed. And that’s another reason why I like the herbal medicine, because many of the heavy hitters for SIBO are also anti-fungal. DrAS: It’s true. I just want to add something slightly off the side of that. DrAS: I think that’s good because that means we’re going to get some yeast reduction if a person has it at the same time. I also think that that’s one of the main reasons why, when someone takes herbal antibiotics which are also herbal antifungals, and they have a really bad die-off reaction, that to me is a signal they may have yeast because yeast die-off is worse than bacterial die-off. And it’s just that the number of antigenic factors that the immune system recognizes with yeast is more than with bacteria. So to me, that’s a symbol. And here’s something else. The way that I was taught was that most of these antimicrobial herbs can kill parasites, bacteria, yeast and viruses. But what I’ve found in clinic is that there are some that are better at each. There are some that are more antiparasitic, some that are more antibacterial, some that are more antifungal, some that are more antiviral. And so when I’ve been really working on treating both SIBO and yeast, what I’ve found is that even if I use all these regular antimicrobials that should treat both, but I’m kind of gearing it towards SIBO, usually when I’m done with the SIBO, I have to switch to the other much more antifungal treatments. I don’t find I can get proper resolution with most of these cases unless I switch to something that’s a bit more antifungal. DrMR: So what are your favorite antifungal herbs? DrAS: What I really think is the best. DrAS: But it’s only been maybe 2 or 3 years. I usually need more than that. But certainly, there’s caprylic acid. That’s a standard. There’s the one that I always have a hard time pronouncing. It’s undecenoic acid. It’s also undecylenic acid, spelled two different ways. DrMR: Sure. Right, right, right. DrAS: That’s a tongue twister for me. Then there’s uva ursi. And, oh, what are the others that I’m forgetting? Pau d’Arco. And you probably have some others that you really like. DrMR: That’s a lot of them. I also like oregano because it has, as I understand it, pretty powerful antifungal effects also. DrAS: Me too. And berberine, of course. DrMR: Yeah, I think there’s a lot of overlap. And I think we have a different way we approach the frontline SIBO treatment. I tend to use more herbal mixtures that also have some antifungals in them. The way I look at this — and this may not be the best approach. But this is the way I have come to look at it is a little more broadly than just SIBO. I kind of think of it now as giving the microbiota a nudge to try to recalibrate the ecosystem because if we can get down enough of the dysbiosis, that will allow the good players to repopulate and kind of police out the dysbiosis from returning in part. And so I think of this as kind of nudging the microbiota to try to get the ecosystem to recalibrate. And so I like the approach of, if we’re going to go in there and kill bacteria, let’s give the mycome a nudge also with some antifungals to help everything try to recalibrate. So it’s a bit broad spectrum in its thinking. But it seems to work well. And the other thing that I think factors into this that makes this not such a nice, neat, little argument of “you should be strictly antibacterial or strictly antifungal” is patients sometimes react to these things. And so you may have one or two herbs that are, in your mind, the best for X. But the patient does not react well to them, meaning they seem to have what seems to be more of an allergic type of reaction because they’re sensitive. And then you have to go through whatever herbs they’ll tolerate or circle over to medication. So, not saying that my thinking on this is right or wrong, but that’s kind of the global view I’m starting to form on looking at the gut. DrAS: I think that that view is good. My only problem with it — it’s no problem with the view — is it’s just in the type of patients I often see. And it’s that, kind of what you just said, they’re very sensitive. And so my main reason for not using combo formulas is just because people react. There are fewer things for them to react to. DrAS: It’s just a practicality thing. It makes it so much harder for me. Then I have to say, “God, there were 25 things in this.” I find I have to fiddle with a lot of patients. Well, I did for many years. The simpler I kept it, the easier going we had. But see, this is just based on the patient population I have. I really have a very sensitive patient population. DrAS: Incredible reactions that I see. But by the way, I forgot one of the other key antifungals a lot of people use. And that’s grapefruit seed extract. DrAS: I’ve seen a lot of people have pretty strong bad reactions to it. And then I’ve seen people do great with it. That’s just with anything. People can react to anything and then do great with anything. DrAS: You just never know. DrMR: And to your point, Allison, when someone reports a pretty significant history of being sensitive, then I typically will start them on a single-ingredient formula for exactly the reason that you’ve said. Because if you’re using a formula that has 10 ingredients and they have a reaction to that, it’s hard to tease out what the reaction came from. So I completely agree with you. For someone who’s very sensitive, I think it makes more sense to start with a single-ingredient herbal approach, definitely, or a medication. DrAS: Yeah, I usually use two herbs as one, is the way I do it. There’s a berberine formula I use that has three berberine herbs. And honestly, I’ve gotten into trouble with that where I’ve had to stop that and then just give one herb that has berberine. But to support the way that you do it, we have the herbal antibiotic study from Johns Hopkins, the multi-center study, that shows that these two big combination formulas given together had great success. It’s not that they wouldn’t have success. I don’t think that that’s ever in debate. It’s just really kind of a matter of what type of patient are you treating. DrMR: Sure. And I’m looking forward to the day when we have a SIFO test that’s as easy and practical to do as a SIBO test. And we might be able to become even more, kind of, precise with our recommendations. DrMR: Yeah. There are a couple other things I wanted to pick your brain on. One, I want to come back in a second to the underlying cause, as you spoke about, because there are a few questions that I have. And I’ll drop these questions here for a moment. And then we’ll circle back to them. But how often does IBS check correlate with severity of illness? And I spoke with Dr. Keller at the Symposium. And she had some interesting thoughts on that. And then also we have the one notable prokinetic study looking at low-dose erythromycin and tegaserod prolonging the time that people were SIBO-free. But I wonder if some of that may just be because of how the motility was affected and how that may have skewed the test results because of the direct impact on the motility. So that’s the hook I want to drop. But I want to take a quick tangent to something else that I’m curious to hear your thoughts on. It’s something that I’ve seen more and more over the past few years in the clinic. And it’s the patient who is convinced that they have a worm. And no matter what laboratory evidence suggests or how many factors point to other things, this person is convinced that they have a parasitic worm that they can’t get rid of. Oftentimes, they see things in the stool that they claim are worms. And I have been listening to this pretty intently over the past several years. I have been testing these patients. I have been treating patients who have documented worms. I’ve been treating patients who think they have worms. And there’s been no documentation, but we found other things. And noting how patients respond and churning all this in my head and analyzing it. And I’m starting to think that most of the time, when people think they have worms, they’re actually passing shreds of mucus in their stool. And it’s not actually a worm. Now, I look at that in the context of how we were fairly easily able to deworm most of the United States population within a number of years, or in a very short period of time, because worms are generally very easy to treat, not to mention the fact that we have some studies being done now in the States and in other countries where we’re putting worms into people and seeing quite a positive benefit on inflammatory conditions. So I wanted to get your take on that. And the other thing that I found perplexing here, Allison, that I’m wondering if you have any thoughts on, is almost every patient who has been very convinced that they have a worm, when I’ve given them a stool vial and said, “Just take one of those out of your stool or out of the toilet, and we’ll send it to one of these progressive, integrative labs, not a lab that’s going to laugh at you like you might be afraid of at your conventional gastroenterologist. I’m believing you here. But I want to get this to a microbiologist at an integrative lab to get their take.” No one has ever done it. So you would think if you’re so convinced that you have a worm, why won’t you just take that thing and put it in a tube, and let’s see what it is? So what are your thoughts on this issue? DrAS: Well, first of all, I would agree with you about the mucus. I’ve heard this from many expert doctors. I am totally not a parasite expert. So this is my disclaimer. But I can tell you that I’ve heard this. And in fact, the lab director at the college where I work has spoken to me about this. And I guess there’s a whole thing about this, and they have shown me the pictures. It’s a thing I guess lab directors know about. They showed me all these pictures of different mucous formations and how they could look like this type of worm and that type of worm. So it’s a thing about how the mucus looks like worms. So I would agree with you on that. I know these people — I’ve seen them — who believe they have a parasite or a worm. As to whether they really do or don’t, I don’t know because it’s not my field. One thing I can say is parasites in the US as a cause of symptoms is a big debate and has been for a while. There are doctors who say it’s almost never parasites. And some of these are functional medicine doctors, like-minded doctors to us. And then there are doctors who say that they find lots of parasites and treat that with great success. So I don’t know what to think about that. But one thing I could say about the people who are really believing something — and I’m being cautious in saying this because I always try and believe my patients. Like you said, I’m on their side. I’m not going to disbelieve them. So I will just cautiously say this. There are lots of times where we get preconceived beliefs in our minds. It’s happened to me a lot. Particularly, I notice it with diet, where it’s like we all know and everyone is told a certain food is healthy. And then you’re eating it, and you cannot link it to the fact that it’s giving you symptoms because you’ve been taught and you know that it’s healthy. And that’s happened to me because a lot of really healthy foods are ones that hurt people with SIBO. And they cannot believe it. DrAS: So who knows? Maybe for some of these folks, there were some very convincing reasons why they believe it’s a worm. They’re not doctors. And maybe they’re just slightly mistaken. Maybe it’s just something else in the intestines. And it just needs to be found. DrMR: And that’s what I try to explain. My thinking on this — and I try to explain this to patients in a very supportive way because I don’t want to tell them that they’re wrong because that’s not going to help anybody, I don’t think. But I want to try to help them maybe update their view as I have updated my view from when I was a sick patient 10 plus years ago. And I would look at my stool and think I saw Giardia in it. I was doing the same thing. I was convinced I had Giardia. I didn’t have Giardia. I just had a pretty inflamed gut post-amoeba that needed time to heal. But when you’re not feeling well and you’re having loose stools and you’re looking at your stools, you can start thinking that you see things that are maybe not really there. But I think from generations ago, before we knew as much about the gut as we know now, “parasites” was kind of the catch-all term to describe problems in the gut. DrMR: Everything else. Dysbiosis. And so now that we’re getting more sophisticated, we’ve realized most of the time it’s not true parasites. But it’s actually a much milder dysbiosis where the stuff that’s normally there is just overgrown or imbalanced. And yes, it’s not like a hookworm that looks crazy when you look at it under a microscope and looks very pathogenic. Bacteria don’t look as scary. But they can be pretty darn detrimental. That’s the point I try to update these patients to. The parasite as a cause for all ailments is, I think, an old or antiquated view. And we need to start to update that to understand that. It’s more so subtle in the microbiota, probably a lot having to do with the fact that our immune systems are being crippled by our hygienic environment. And now, it’s just trying to work with that. And that should be the chief area of our focus rather than just getting obsessed with needing to keep killing parasites, killing parasites, killing parasites. DrAS: Oh, you bring up such a good point about sort of the cultural and historical thinking. I can definitely say when I was in school, when you didn’t know what someone had — they had something kind of weird, wrong, that didn’t fit anything you knew — when I was in school, it meant three things. It meant they either had parasites, yeast, or heavy metals. Those were our three catch-alls. DrAS: It’s like when it was weird and it was mysterious, it was one of those. And so I don’t know. I graduated 12 years ago or something. So this was the training 15 years ago. So that’s not that long ago. So, very, very good point. And we really have a lot more information. And just bringing it back to SIBO, this is one of the examples. That wasn’t in the lexicon. And so the only way people were thinking about bacteria back then was in the large intestine. And like you said, we now have a lot more, certainly more sophisticated or maybe detailed, ways of thinking that can help us target. Diagnoses can help us target the treatment a bit better. DrMR: Exactly. Yeah. I just make these remarks because, for anyone listening who might be in this camp, I think it could be in your best interest to maybe update that framework just like someone who maybe has an allergy — let’s say you have an allergy to kale. But you keep reading how healthy kale is. But it keeps making you sick. So it’s one of these things where we don’t want you to have a self-limiting belief, even if on the surface the self-limiting belief looks like a healthy belief. If you think that the problem in your gut is just parasites, it may hinder you from being able to look into and learn about other strategies for healing your gut and ultimately getting over the symptoms that make you think you have a parasite to begin with. And that’s why I bring up this dialogue. And this reminds me, again, of a patient I saw the other day who had a previous tentative diagnosis of microscopic colitis from her gastroenterologist. And when we did our workup, we found elevated lactoferrin, which is also something you’ll see potentially elevated in any kind of inflammatory bowel disease, including microscopic colitis. And as I understand it, it is especially patients who have inflammation in their intestine who are more prone to shedding these mucosal threads that look like worms. So here we see a patient with previous endoscopic or colonoscopic documentation of microscopic colitis, laboratory inflammatory markers to support that, and then these mucous shreds in the stool that are also known to tie in with that. But very convinced that it’s parasites. And what was a little bit disheartening to me about this patient is that I wanted to get her to make some dietary changes that would be better for managing inflammatory bowel disease and the microscopic colitis. And she was really resistant to those until we tried to kill the parasite. And you get to this point where it’s like, “Well, we have evidence here suggesting that there is inflammatory bowel disease. And all your symptoms — five to eight bowel movements in a day, diarrhea, weight loss, intolerance to fiber — all these things are suggesting this is IBD. And this is really where we need to go.” But if you’re so stuck in the parasite hypothesis, it may be hard to get that person there. So again, without belaboring this issue, which I already definitely am, just throw those points out there to maybe help people think more broadly. If you’re pigeonholing yourself into one diagnosis, don’t forget to think more broadly, especially if you have a good clinician to help you. DrAS: Very good points. Such good points. Oh, and by the way, when I was saying that about the three things that I was taught to blame things on, that doesn’t mean that those things aren’t real. Those are real. DrAS: People have those things. But just talking about the different cultural times. DrAS: And by the way, what you just said about your patient is such an interesting example. And it just makes me think about how what we see so often is that people have their journeys. And it’s very interesting. It’s really interesting, the journeys people need to take. It might not follow facts. And it might not follow what we think is best for them. And who’s to say what’s best for them? It’s a fascinating thing when you’re seeing person after person, trying to help — you’re in a helping profession — to see the journeys people are on. DrMR: I agree. And it reminds me of something that Janet Lang used to say, which is that people are going to do what they’re going to do until they’re done. DrMR: Right. I just try to be as supportive as I can and help people get there. And again, like I said a minute ago, I do not think it’s good to tell someone flat out that they’re wrong. But rather try to have a supportive conversation to help them maybe update their opinion so that they can get through their journey a little bit more quickly. But yes, I think you made a terrific point. DrAS: So I think I might need to end our conversation. And I know you brought up some very fascinating things about underlying cause. But it might have to wait until next time. DrMR: Yeah, I know you’re preparing for classes that you’re teaching. And you’re working on your PowerPoint. And I totally get what that is like. So we can definitely call it there. And I think this would be a good shorter episode for the audience because I know you and I can go on for — I think we’ve gone to an hour and a half in one of our past podcasts. So we can definitely gab. But yes, I’ll make a mental note to talk more about IBS, check the underlying cause, prokinetics in one of our next calls. And I’ll wish you good luck with everything with the class that you’re teaching and your PowerPoint. And thank you again so much, Allison, for coming on the show. And really quick, I’m sure most people know where they can track you down. But can you tell people your website and anything else that you want to make people aware of? DrAS: Oh yeah. I have a free educational website. And it’s called SIBOInfo.com (1a http://www.siboinfo.com). And I love for people to take advantage of it because that’s what it’s there for. And if you sign up for my newsletter on my homepage, my welcome page, you will be informed of any new developments in SIBO. I post all new studies in my newsletter that come out in anything I think is particularly significant, sometimes just what I’m thinking about. And of course, any classes or conferences that are coming up, I’ll list them there. I like to make mention of this because I always get so worried that people won’t sign up for another newsletter because their email gets bombed with newsletters. So I only send it about five times a year. DrMR: And it’s definitely jam-packed with good information. And it’s not like my newsletter, which is two to three times a week, that blows up your inbox. DrAS: It’s not a marketing blog. DrMR: Yes, there’s definitely no marketing there for sure. It’s all really great information. Well, great, Allison. Thank you so much for taking the time. And until the next time, I will keep thinking SIBO, as I know you will. And we’ll talk soon. I finally tested negative for SIBO in August but I still have trouble with high fodmap foods (and I’m allergic/sensitive to many others) so I have about 15 safe foods to eat. I’ve been on a parasite protocol for about 3 months. I would be interested in knowing how to tell the difference between mucosal shreds and parasites as I see less of what I think are parasites and more mucous looking stuff. And, is it dangerous to loose this mucous? Also, does yeast/fungus show up in stool? I have CIRS due to mold just to complicate things a bit more. Glad your SIBO labs have cleared. I would speak with your doctor on this but here are a few things to discuss with him or her. You can send a shred to a lab for analysis. Consider an eval for IBD because shreds might be more common in IBD. Sometimes it does but not always. Great information. I’m a nurse practitioner and am interested in the BIOSOLVE-PA Allison mentioned. Can you provide a link or more information as to where one could get a hold of this? Nothing I can share at this time, you might want to reach out to Dr. S or Dr. Anderson directly. I will provide an update should I find this helpful also. This was outstanding! I have many chronic SIBO clients – and applying everything learned in 2016 SIBO conference etc. So I am up to date on this. BUT how have greater understanding of biofilm agents,and have not considered SIFO and targeted herbs, even in my candida patients who also have SIBO. Very informative and provocative. Thank you so much for sharing your expertise. Would love to hear more about nerve damage/auto immune element in PI-IBS/SIBO and how to help heal that. Thanks Lorraine! More to follow! I found your discussion of SIFO as a potential cause of symptoms similar to SIBO fascinating, as I believe this may be part of the puzzle with my own case. I’d love to hear your experience with patients who you suspect are presenting with this. More to come here Brad, thanks and stay tuned!! I really like getting your newsletters as they are REALLY useful. I haven’t used this but I am open to it. It never struck me as any better than the typical herbs I used so never felt compelled to switch. Glad the info has been helpful! Really enjoyed this podcast especially the way you shared some real world clinical presentations and took us into some of the traps in thinking and logic of patients with gut issues. Hoping this means it’s working So discouraged ! We are VERY interested in your topics about fungal issues and just learned the term SIFO from your site. We recently read the article listed below that is the same idea–bacteria + fungus –but in the context of Crohn’s. It is a small study, but we wondered what you think. Thank you! Hello, I was just wondering what the procedure is for a doctor-patient pair from the United States to acquire Resolor (Prucalopride). Since it in some way involves Canada, how long is the whole process expected to take? I ask because it seems the patient should begin the prokinetic phase of treatment as soon as the SIBO retest (following a round of i.e., herbal antimicrobials) reveals that hydrogen and methane levels are normalized, provided that the patient’s symptoms are also largely cleared, but if the retest comes back positive, or symptoms are still present at that time, then the patient would likely try more or lengthier bacteria killing options, and start the prokinetic phase later. If the Resolor must be ordered a week or weeks in advance to account for international shipping (assuming it must be shipped from Canada), does it have a long window before expiry, in case bacteria is still present after the first round of the killing phase? A US doc writes the script and the patient can fill it via a Canadian pharmacy. Usually only takes days to a week or so to receive. Not sure on the shelf life, but assuming its rather long. Hope this helps! Good questions. First, thank you for all the invaluable information that you share via these podcasts – I’ve learned so much by following you. With that said, after listening to this podcast, and 3 weeks into a SIBO treatment with Intestinol and Berberine Complex by Integrative Therapeutics that seemed to be doing little for me, I decided to add Interfase Plus to my regime after confirming with the naturopath that I’m working with. I took 2-4 capsules of Interfase Plus daily for 3 and a half days, with a fever-like reaction each afternoon / evening (feeling better each morning, however). By day three it became fairly acute (face flushed red, headache, felt like I had a fever although didn’t), so I e-mailed my naturopath to confirm that I should remain on the supplement. At that point, she noticed that I was taking Interfase PLUS, and told me to stop taking it and the antimicrobials immediately, and take activated charcoal for 2 days, which I did. She went on to say that she does not use or recommend this at all in her practice. She uses Interfase, but noted significant concern with the heavy metal chelating aspect of the EDTA in the plus version. Here’s my concern – I was planning to try to conceive next month after the active SIBO treatment ended (I saw the naturopath for ongoing infertility), but she is concerned that by taking Interfase Plus I may have damaged a developing ovum (via possibly causing heavy metals to circulate in my bloodstream), and gave a word of caution about going ahead with trying to conceive the next few months. Could you kindly offer some advise on this as someone who uses Interfase Plus in your practice? Although I want to be cautious and not risk a pregnancy if truly contraindicated, I also want to flush this out further given my naturopath’s lack of experience with this particular product. Note that I only took the product for three and a half days. Any advise you can offer would be greatly appreciated. Great question but I can’t really comment in this context. If your unsure you can contact my office for a second opinion but I can’t give it here for med-legal reasons. Great conversation with Alison Siebecker. I beleive that you had asked her what supplements seem to do double duty on SIBO and SIFO, and not sure if the answer was very clear. What supplements do you reccommend when trying to treat both conditions simultaneously? Thanks! I learn so much from your podcast. Lots of great info, I was just reviewing what I know of biofilms for a patient. My wife has an appointment at the end of the month with you that we’re really looking forward to. Do you have a publish date for your book? We’ll take good care of her! Looking like late 2017…. working hard to make that happen. I’m just finding your post and podcasts. I was recently diagnosed with Sibo and have had these stringy, worm-like things for years. I’m wondering if you have any updates thoughts on this? Do you think these could be biofilms? I’ve had a negative lactoferrin on a CDSA, so I’m pretty sure that makes IBD an unlikely cause for me. Thanks for all of your helpful information! Negative lactoferrin doesn’t fully role out IBD, but it is a good sign. It is most likely mucous but I would check in with your doc on this. I have discussed this in a couple posts in the past but can’t recall which ones specifically off hand. Lots of useful new infos. Great podcast. I’m actually the third week into herbal protocol for SIBO (three months of GERD) plus being on FTD diet.. I use neem, berberine, oregano oil and allicine. I also take digestive enzymes and betain HCI before the meals. At last my SIBO/GERD symptoms started easing down and I have had no reflux for the fourth day. One thing I’m not sure about is how to space that herbal stuff during the day (with meals, off the meals, taking them together or separately), Possibly more infos about the dosage.